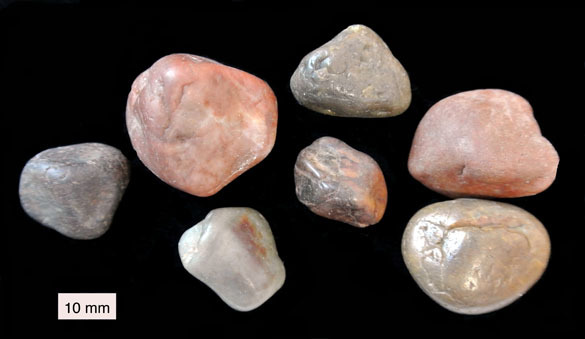 These rounded stones are labeled in our collections as gastroliths (literally “stomach stones”) from Starr Springs near Hanksville, Wayne County, Utah. 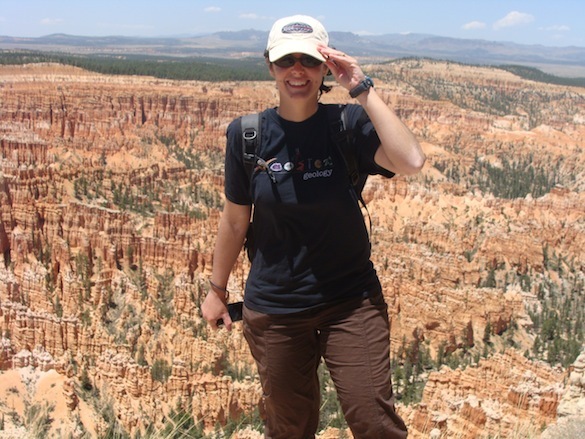 I’m featuring them this week in honor of our Utah Project team working right now in the baking Black Rock Desert near Fillmore, Utah. From their reported location, these stones are likely out of the Summerville Formation (Middle-Upper Jurassic) and, in another plausible supposition, probably from some sort of dinosaur. Sometimes we just have to trust the labels on our specimens, at least for educational purposes! My friend Tony Martin recently wrote an excellent blog post on gastroliths, so I won’t repeat his insights here. 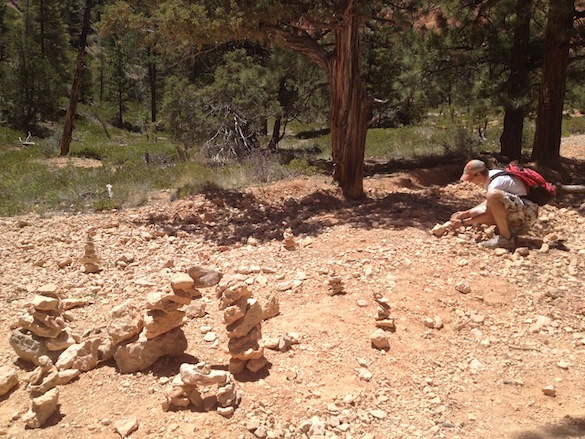 The general wisdom is that these stones were consumed by herbivorous dinosaurs to aid in their digestion. They would have lodged them in the equivalent of a gizzard and used them to grind their food, much like modern birds. (And yes, dinosaurs were birds themselves.) Gastroliths usually have a resistant lithology to be useful as grinders. The gastroliths above are chert, one of the hardest rock types. Identifying gastroliths correctly is a bit of a challenge if you don’t find them inside a dinosaur skeleton. 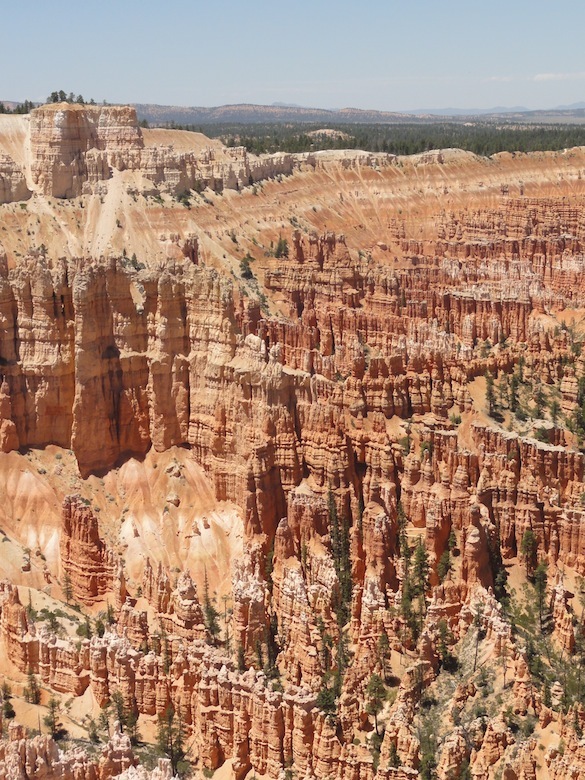 The most common indicators are that they are very smooth, are in a location where they were unlikely to have been transported inorganically, and are of a lithology unlike the surrounding rock (“exotics” as geologists like to call them). Still, even with all these criteria met, we must be a tad suspicious if we didn’t find them associated with dinosaur bones. I would never, for example, buy a gastrolith in a rock shop. Without context, it could be just a stream-worn stone. I’m trusting the label on ours that we have the real deal! Stokes, W.L. 1987. Dinosaur gastroliths revisited. Journal of Paleontology 61: 1242-1246. Wings, O. 2007. A review of gastrolith function with implications for fossil vertebrates and a revised classification. Acta Palaeontologica Polonica 52: 1-16. 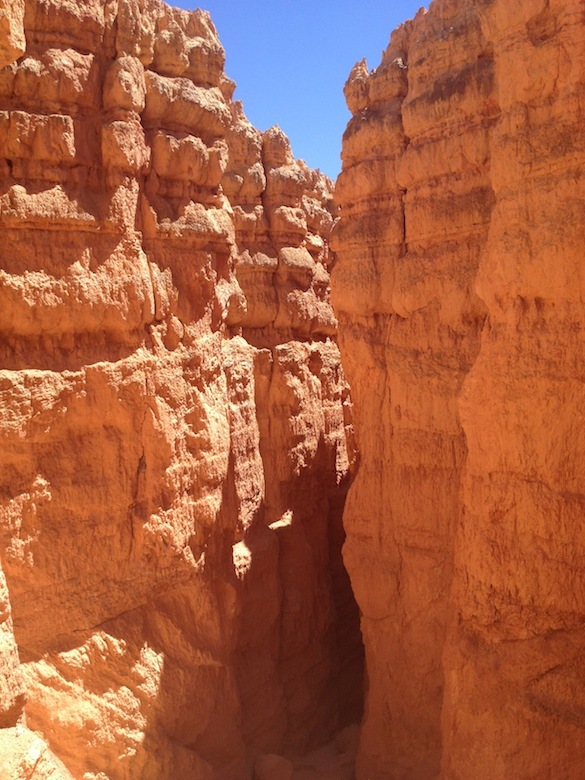 BRYCE CANYON, UTAH – In recognition of National Get Outdoors Day, Team Utah visited Bryce Canyon National Park. 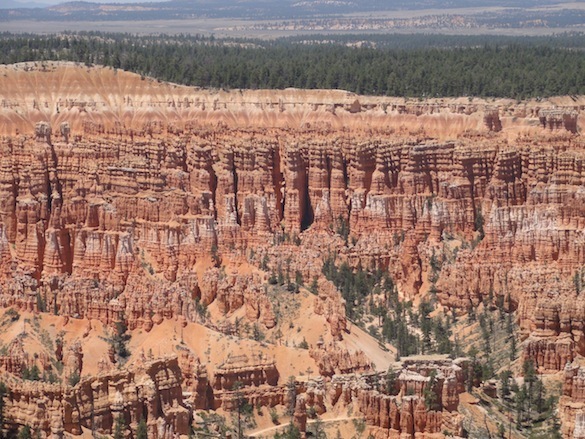 The park is famous for its gorgeous hoodoos. Here are a few pictures from our day. 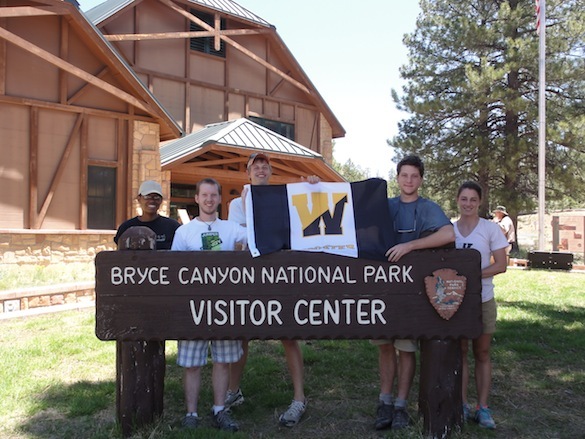 Team Utah representing Wooster at the Bryce Canyon Visitor Center. 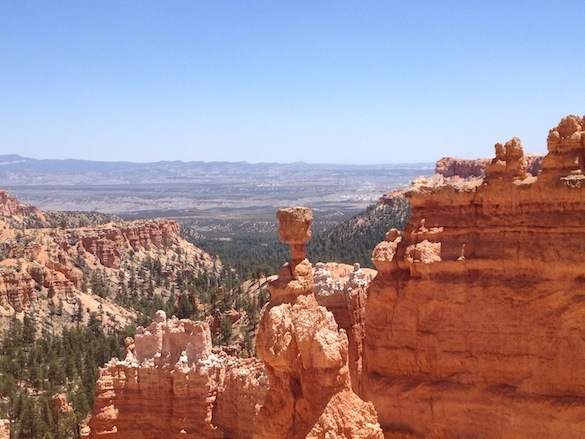 Dr. Pollock tries not to be blown over the rim by the wind. Dr. Judge shows off her field hat.